Godiva Tray with Assorted Chocolate Gold Gift Box, Red Ribbon, 8 pc. 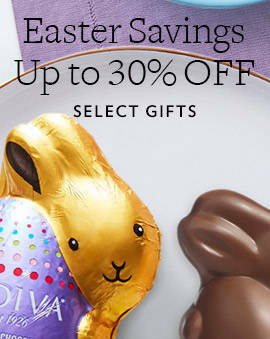 Godiva Tray with Assorted Chocolate Gold Gift Box, Gold Ribbon, 8 pc. Assorted Chocolate Gold Favor, Bell Charm, 4 pc. Rufolo Glass Bowl with Assorted Chocolate Gift Box, 36 pc. Everyone loves receiving a box of chocolates regardless of the occasion. But when a big holiday rolls around, it's a great idea to go all out and really impress them. 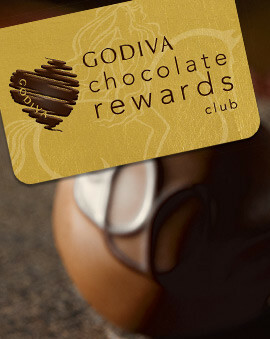 That's why it's a wonderful idea to go for the best available chocolate and get them a holiday chocolate gift from GODIVA. 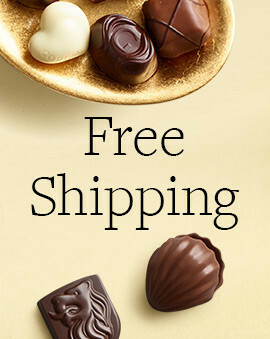 Whether you are picking a Christmas gift, a New Year gift, stocking stuffers, or anything in between, get them the best chocolate for the holidays. 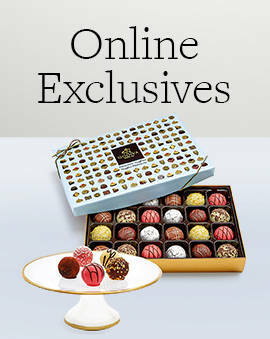 Keep the holiday spirit alive with the addition of luxurious chocolate gifts from GODIVA. Nothing does a better job of putting a smile on someone's face than finding delicious chocolate in their stocking or getting a box of signature chocolates as a present. Make sure you get them something that will keep that holiday spirit alive long after Christmas. 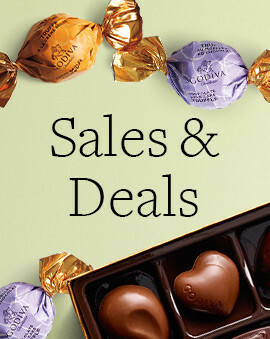 Including a can of GODIVA hot cocoa in your holiday chocolate gifts and every one of your Christmas gifts is a great way to make their spirits bright every time they take a sip of hot cocoa on those cold winter days.